Niall Horan wins first solo American Music Award, making it his first AMA since leaving One Direction! 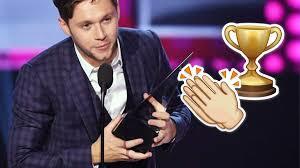 Niall Horan won an American Music Award last night! He won New Artist of the Year, making it his first AMA since leaving One Direction. Niall was up against James Arthur, Julia Michaels, Post Malone, and Rae Sremmurd at the event in Los Angeles. However, it’s not the first American Music Award that the ex-1D star has won. As a member of One Direction Horan actually won seven times, including twice as Artist of the Year. He follows in the footsteps of Zayn who won New Artist last year, in 2016. Other major winners at the 2017 AMAs included Lady Gaga as Favourite Female Pop/Rock Artist, Imagine Dragons as Favourite Pop/Rock Duo or Group, and TCS as Favourite EDM Artist. Amazing! 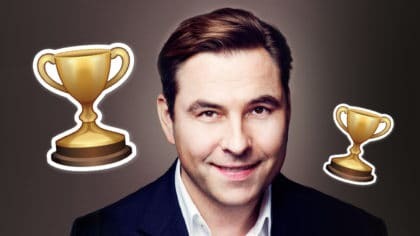 Thank you so much for voting for me. Really appreciate the love and support.